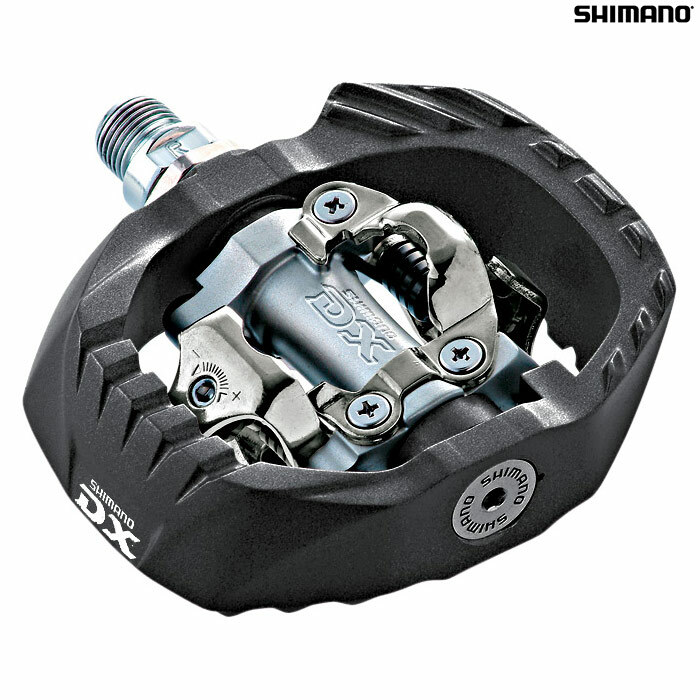 Shimano PD-M647 Off-Road Racing / BMX Pedal. Designed for the rigors of off-road and BMX racing. Dual-sided pop-up bindings are positioned at 12.5 degrees for easy and fast entry. These pedals are a PD-M540 pedal mounted in a floating alloy cage finished in black. Large amount of cleat tension adjustment.